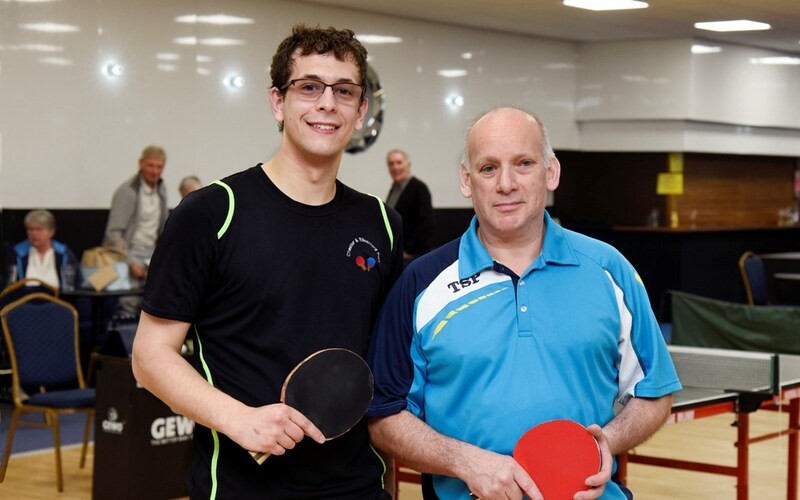 At the Chester & Ellesmere Port Table Tennis league finals night Shaun Hall duly retained his men's singles title but he was made to work exceptional hard against determined opponents. He faced fellow Newton club colleague Joe Killoran in the semis, a player who recently won a National level 4 tournament, and the two produced a great hitting spectacle before Shaun won 3 games to 1. In the other semi former league champion Simon Jones of Pulford faced the many times County champion Malcolm McEvoy but found the spin game that had defeated talented Aaron Beech in the quarters was largely negated by McEvoy and the Barrow player went through again 3 1. A hard hitting final followed between two experienced and talented players but it was Shaun who took the match and the title once again and it was well deserved. 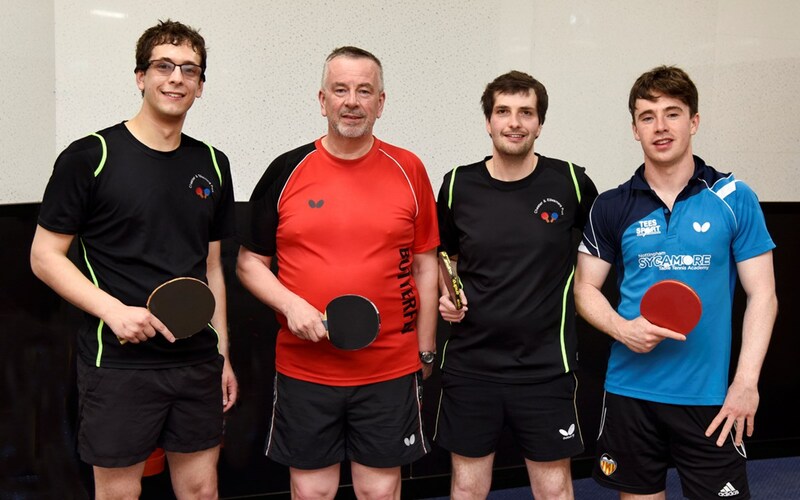 Beech and Killoran duly took the men's doubles title and Simon Jones bounced back to win the Veterans final from Cheshire County player Ken Connor in another match of high quality. Ray Worthington retained his over 60s title at the expense of Pulfords Mike Phelan. Lynsey Pellew- Nabbs retained her ladies title and teamed up once again with Keith Bartlett to win the mixed for the second year in succession.